1. Reasons behind the stress: Every problem has a solution and that is why first it is essential to know what ails you. This is the first step in the direction of uprooting stress. For some students, lack of completion of syllabi poses a great problem. While for others a bigger issue is lack of retention power. 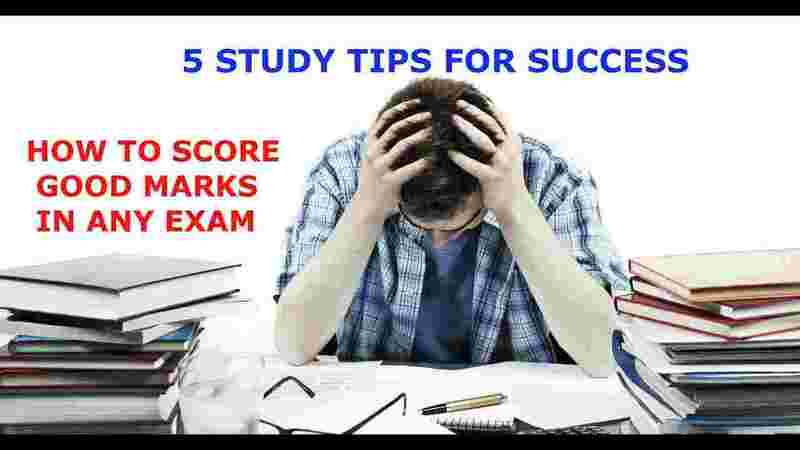 Some students are not able to understand the concepts properly and thus feel the pressure of appearing in an examination. The first step towards finding a solution is making an honest assessment of your strengths and weaknesses. Once you know your problems, do your best to solve them with the guidance of professionals and experts. The faster you overcome your problems, the sooner you gain confidence. 2. Realise your dreams: Hard work and sincere efforts are the key to success. Achieving much-expected results in examination has the same success formula. Going through the syllabus seriously and thoroughly is prerequisite for good results. This results in confidence and courage and ultimately helps you deal with pressures of examination. 3. Proper planning a must: Chalking out a plan for the examination preparation is important to get desired results. But majority of students don’t give importance to planning. They fail to assess the tasks to be accomplished until the examinations begin. Delay in planning is also not good because you are left with relatively less time to finish the tasks. And consequently, problems start inundating you. So, you need to chalk out a comprehensive time plan only at the beginning of the session. Religiously sticking to the planned study hours is also equally important. 4. Seek guidance from parents: Always open up with your parents about examination stress. If you fear your parents, share your concerns with a friend or a teacher. Talking about your problems will help you allay the fears and phobia of examination. 5. Practice meditation: Regular meditation calms one’s mind. It also helps enhance focus and better concentration, which ultimately help students grasp the subject faster. So Practice meditation at least for 10 to 15 minutes as per the schedule. 6. Have practical goals: Dreaming to achieve bigger things is human nature. However, your Wishlist should be practical, depending on the resources available and your strength. Honest assessment of your capabilities is very important. Do not allow yourself to get swayed by the unrealistic and highly ambitious plans. Know your own strengths and weaknesses. Set your goal keeping your limitations in mind. 7. Pull up yourself: Students usually panic during examinations. But that doesn’t help. Rather, it aggravates the situation. At this crossroads, you need to be very rational. Do not lose patience. Drop all the thoughts of rejection, and frustration. Try to always stay stoic and firm. Keep on pushing hard for what you want to do in your life. This would help you become courageous to brave the challenges of life with ease. Being confident is your birth right, you need not be destined for it. It just needs to be discovered or re-discovered! The most beautiful ornament that can adorn a professional is self-confidence. An inner belief which is powerful and strong can make one successful in one’s career as well as other spheres of life. Often, in life, one is exposed to a situation which is not in one’s control and that is when your self-confidence is put to test. Thus, it is very important to pay attention to this aspect and work on increasing one’s self-confidence. 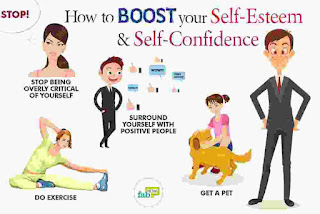 The reasons for low self-confidence can vary from past failures, an environment with negative people, to wrong assumptions and beliefs and sometimes even mental, physical and emotional disabilities. New beginnings don’t measure time or check dates. 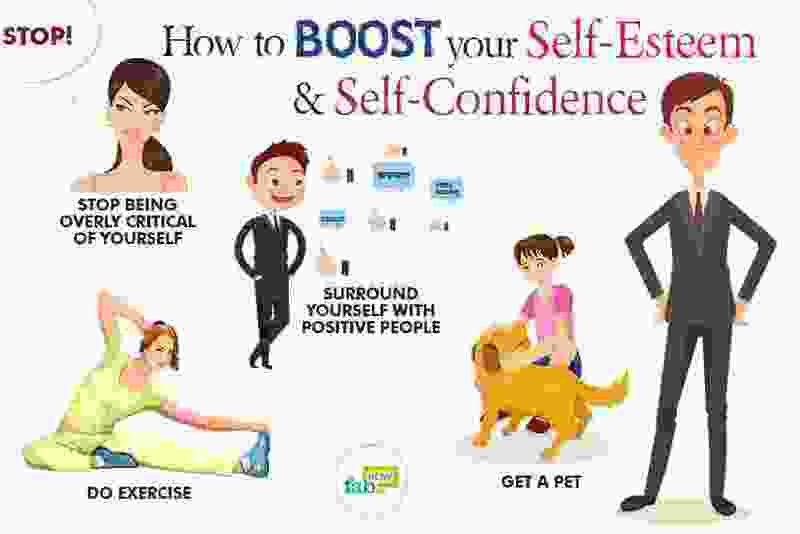 Start your day by paying gratitude for all that you have in life and all that you have achieved, small or big and these would aid you in starting your day with a great self-esteem. If you are loaded with self-confidence from the time you wake up each day, then you can see opportunities everywhere. Always know that you can and you deserve every chance to grow, prosper, and flourish. People around us have a huge influence on our lives and sometimes we do not have a choice there. We can’t avoid the negatives or negative people in life. However, we can be a little aware of the surroundings we live in and consciously spend more time with optimistic people, which in turn, can boost our confidence levels. Never miss an opportunity to connect with people who have a positive mindset and constructive approach to life. Surround yourself with people sharing the same goal and vision as yours and follow them. To have a magnificent start to your day, try the ‘effective’ mirror technique in extension or addition to the above point. It is a great way to self-hypnotise and kickstart your day with a new energy and enthusiasm. Face the mirror, look into your eyes, and bombard with great positive suggestions which reflect new beliefs, behaviors and identities. Practice this routine for two minutes. It is believed that the eyes are the gateway to the soul. True or false doesn’t matter, but when you look into your eyes and make effective affirmations, then you are programming your subconscious mind. Our words reflect our inner self and can change our inner self. Every moment of our life we are sending signals to ourselves to perform certain tasks. Those are involuntary habits that are engraved on our minds for long. If they are unknowingly negative our brain sends those negative signals accordingly which leads to productivity issues and mental health deterioration. A lot of people get into an autopilot mode of negative talk or cribbing. Since, its autopilot or habitual, the catch is a bit challenging. But, one can set reminders and not only catch but change the self-talk and autopilot outer talk. A small progress in this inner aspect will bring in a huge progress in your confidence levels and outer life! When asked, millennial possess everything but time. This mobile-friendly generation is completely engrossed in screens, either big or small. In one way or the other, these mediums are nothing but hypnotizing machines. The term ‘binge watching’ is the best example here. Technology can be used to build or destroy. It can be harnessed in ways which prove beneficial for your mind to grow like watching motivational videos, documentaries, researching, reading, etc. These habits definitely will contribute to the daily dose of confidence! The first step as known is always the hardest, but it surely takes you an inch closer to your goal. Instilling self-confidence doesn’t require external factors it is solely dependent on the way you take care of yourself internally. It takes work to build, develop, and maintain. It's all in the mind after all.